Or, why is there never anybody around to see all those infringements? To answer this question, we will have to go into the rules that make the sport of sailing pretty much unique. Sailing is one of the few sports - perhaps only Golf is the other one - that is mostly done without someone "refereeing". We don't have a couple of persons, dressed in black and white, zipping around in little rubber boats, blowing whistles and penalizing boats. Or do we? Right in the middle, as if it wants to hide, is the word "enforce". Competitors are expected to ENFORCE the rules. In other words, you yourselves are the referees when racing, you are the ones with the whistle. You do not need to get a black shirt, you don't need an actual whistle (shouting "Protest" is good enough) but you are still the ones who control which infringements are called out. My analogy is a little overstated, I know, but that is how you should approach it. When you are agrieved by the actions of another boat, you must decide what you want to do. Either put up with it, and not complain that somebody should do something, or, as the basic principle is stating, enforce the rules and protest. Put up or shut up - that's the phrase, isn't it? This self-regulation in sailing is deeply woven into all rules. For example, even when there are "umpires" on the water - like in match racing or team racing - they seldom penalize on their own. First a boat must protest another, by showing the protest flag, only then the umpires respond by assigning blame and giving out a penalty. (There are exceptions, but they almost all have to do with deliberately breaking a rule, or when no other boat is around to protest). Even in the protest hearing this principle is upheld. All parties are expected to present "their" case in the best possible way as to convince the Jury that their facts are what has happened. Back to the race course. You "blow your whistle" whenever you are involved or see a boat breaking a rule. And you are expected to do this as soon as reasonably possible. You wouldn't accept a football referee blowing a whistle half a minute after a tackle when the game has already progressed because of the foul . . . (excuse me, soccer referee). By shouting "protest" the other boat becomes aware - if she doesn't already know - that they might have broken a rule. They have a choice then too. That boat can either take a penalty, usually a Two-Turns Penalty or, well, not. If not, the ball is again in your court. If you feel strongly enough about the issue, you then can lodge a written protest with the Jury or Protest Committee. But that's again, up to you. You are expected to enforce, but it's your decision. Nobody will penalize you for not doing it, but you must then also accept the outcome. Once the protest has been handed in, the PC will schedule a hearing and invite all parties to come to tell their stories about what happened. Parties can bring witnesses to help with their side. But the whole process starts on equal footing. The PC does not give the protester more "weight" because they brought the issue. The incident is decided on "a balance of probability", as close to the truth as they can get. If you think that the PC will sort out the problem for you, you are in error. 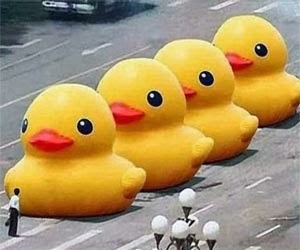 Even then YOU enforce the rules, so you better get all your ducks in a row and be convincing.